In the grand scheme of annual road accidents, accidents involving buses make up only a small share of the total. In a 2010 study from the University of Michigan’s Transportation Research Institute, data from 1999 to 2005 revealed that on average, approximately 63,000 buses, including municipal, charter, and school buses, are involved in accidents each year. About 14,000 result in injuries, and about 325 are fatal. The majority of bus accidents are either rollovers, are caused by inadequate overpass clearance, caused by tunnels or overhead structures, or involve hitting pedestrians. 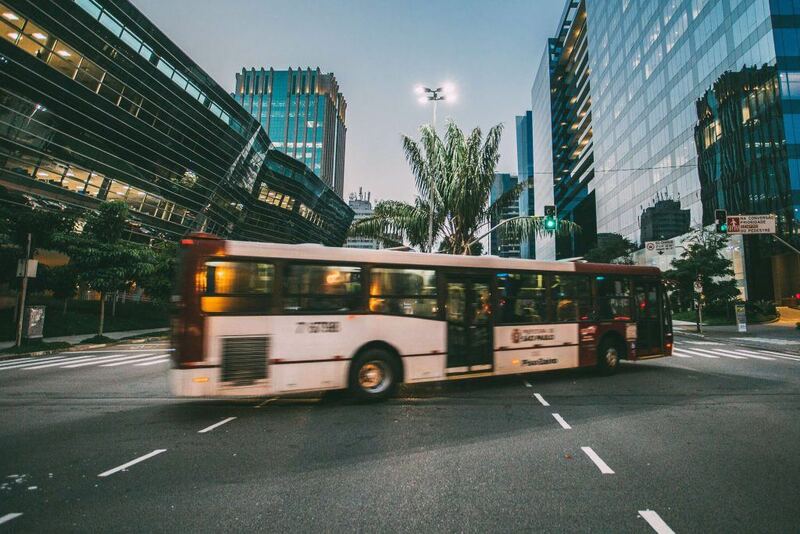 Some common causes of bus accidents include inclement weather, unqualified or novice drivers, driver error, driver distraction, and bus mechanical problems. In addition, a bus company’s failure to train and supervise its drivers is also a factor in many bus accidents. Accidents involving city or municipal buses are more likely to be involved in an accident than charter buses. The accidents often occur during the busy commuting hours when buses are trying to make left turns. Buses are twice more likely to hit a pedestrian than another vehicle while making a left turn due to the bus driver’s visibility problems. In 2008 the Federal Transit Authority conducted a study of bus accidents and found that bus drivers often fail to properly re-scan crosswalks when making left turns. Oftentimes, pedestrians also have a difficult time realizing when large vehicles such as buses are about to make a left turn. Other bus accidents involve motor coach or charter buses that travel on the state and interstate highways. In a 2011 study conducted by the National Transportation Safety Board (NTSB), the researchers noted that buses and other commercial vehicles have a higher likelihood of being involved in a fatal accident than other vehicles. However, the victims usually tend to be the occupants of the other vehicles involved in the crash, pedestrians, or bicyclists. When buses are involved in accidents, the drivers and passengers are generally safer than those in other vehicles. In 2009, the fatality rate for bus occupants was 45 deaths for every 100,000 accidents compared to 251 deaths for every 100,000 passenger car accidents. Even though this is a fairly good safety record for bus occupants, there is still room for improvement. This past summer, a California State Senator introduced reforms to improve bus safety as recommended by the federal officials that investigated a devastating Northern California bus accident that killed five high school students in 2014. Senator Ricardo Lara introduced legislation that requires charter bus operators to provide safety briefings to passengers prior to bus trips and encourages buses to have obvious emergency exits such as those on airplanes. The students who were involved in the 2014 accident had difficulty escaping the burning bus after a Federal Express delivery truck crashed head-on into the bus. The NTSB claimed that inadequately labeled emergency exits and the absence of safety instructions contributed to the injuries and chaos. The NTSB also urged federal regulators to adopt rules that will make buses as safe for passengers as trains and airplane. Senator Lara’s bill only mandates pre-trip safety briefing similar to those on planes, but he would like to add provisions that would adopt all of the NTSB’s safety recommendations, such as requiring fire-resistant materials, black box data recording devices, and additional escape doors. Watch YouTube Video: Broken Dreams: Deadly Bus Crash Kills Five Students in California. Accidents involving buses can be devastating and serious. If you are involved in a bus accident, it is important that you consult with an experienced Sacramento Bus Accident Attorney right away to determine if you have a viable claim. I’m Ed Smith, a Sacramento Bus Accident Attorney with the primary accident information site on the web, www.AutoAccident.com. If you or a loved one has been involved in a serious accident involving a bus, call me now at 916.921.6400 or 800.404.5400 for free, friendly advice. Currently a member of the Million Dollar Advocates Forum.